Media FHE HEi News Universities still making false marketing claims, says Which? 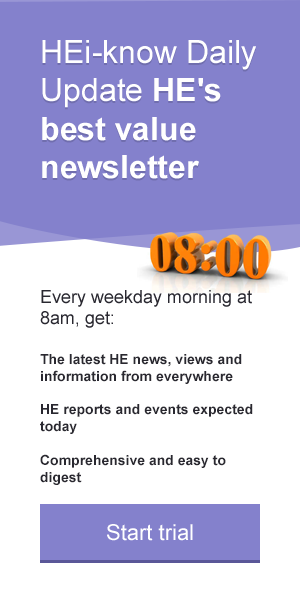 You are here: Home > HEi Know > HEi News > Universities still making false marketing claims, says Which? Almost a year after the advertising watchdog upheld a number of complaints about misleading information in higher education, the consumer champion found several universities are making unverifiable and potentially misleading claims. Which? University carried out a review of comparative claims made by UK institutions and found that at least six universities included examples of unsubstantiated or unverifiable claims about their standing on their websites, in likely breach of advertising standards. Edinburgh's Heriot-Watt University described itself as, "one of the world's leading universities for pioneering research informed by the needs of business and industry." This claim was not supported by accessible facts or figures on the website and Heriot-Watt University is ranked 351st-400th out of 1,103 institutions in the Times Higher Education World University Rankings 2018. Following a letter from Which? University, Heriot-Watt explained that its links with business support its claim, which it stands by. Aston University explained that it was, "ranked within the top 35 universities in all university ranking tables." However, there was no information included to substantiate the claim. Aston explained to us that this statement referred to employability metrics rather than its overall ranking position. It agreed this was ambiguous and has removed the claim from its website. University of Aberdeen claimed to be, "ranked consistently among the world's top universities," but did not verify this claim on its website. The University has told us that it will enhance its website to provide clearer qualification regards supporting information. Newcastle University included a Key Facts document on its website that stated it was in the top 1% in the QS World University Rankings. It came 141st in the current table, putting it in the top 15% of ranked institutions. Following a letter from Which? University, Newcastle has removed this from its website. Ulster University stated that it "is in the top 3% of universities in the world" when it came 501-600th out of in the 1,103 Times Higher Education World University Rankings in 2018, putting them in the mid-tier of those rankings. Ulster University did not respond when Which? University got in contact to flag its concerns. University of the West of Scotland claimed that it "ranked in the Top 3% of Universities Worldwide" in its Google search descriptor. Which? University does not believe that this claim was sufficiently transparent or verifiable. UWS also came 501-600th out of 1,103 in the Times Higher Education World University Rankings 2018. University of the West of Scotland responded to explain that where comparative claims are made on its website it always ensures that it has sufficient data to back up any claim and makes the basis of the claim clear. Which? University said it was particularly concerned about these comparative claims, given it is less than one year since the Advertising Standards Authority issued its comprehensive advice in November 2017 to universities about such claims and its rulings which upheld complaints about comparative claims made in university advertising. Where universities are making comparative claims about their relative performance, these should be verifiable and provided with sufficient qualifying information to ensure that prospective students are not misled. "It is critical that prospective students can trust the facts that higher education institutions are putting forward. However, we've found numerous examples of universities falling short. We want universities to act responsibly in line with the ASA's guidelines as thousands across the country prepare to apply for the next step of their education in the coming weeks and months."